The 1-5/8 x 4 outbound address label serves as a 1 x 3 address label for response. Makes it easy for customers to respond. The same label serves as an outbound address label and a return address label for responder. Makes it easy for customers to respond. Laser and inkjet compatible. 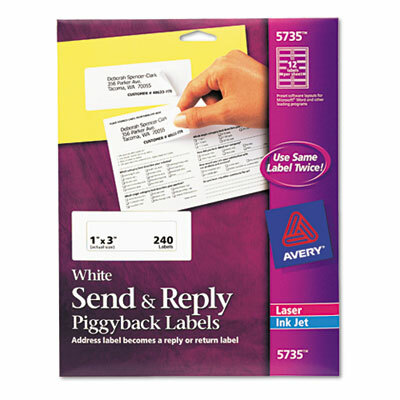 Label Special Features A 1 5/8 x 4 mailing label becomes a 1 x 3 label for responder.